(subsidiary of Provincetown-Boston Airline-PBA) (PT/PBA) (Naples) 1957 - 1988 (see also PBA). Photos. Framable Color Prints and Posters. Digital Sharp Images. Aviation Gifts. Slide Shows. 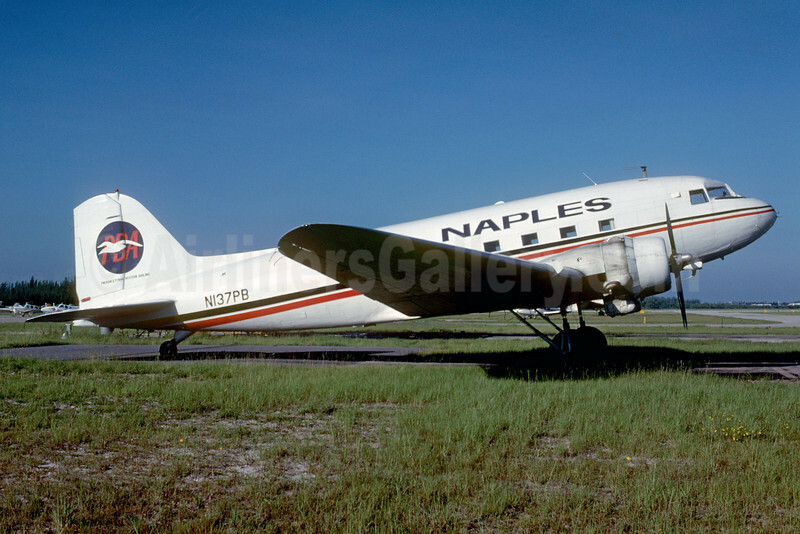 Naples Airlines-PBA Douglas C-52B (DC-3A) N137PB (msn 4128) APF (Bruce Drum). Image: 103027.